Dec. 11 -- PACA, 1505 State St. 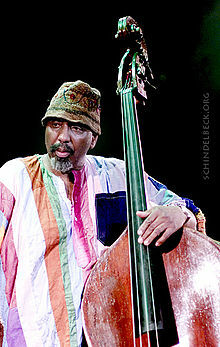 Legendary upright bassist William Parker will present a solo performance at PACA, 1505 State St. on Sunday, December 11. Time TBA. Born in the Bronx, NYC,Parker did not study formally in the classical tradition, though he took lessons with bassist Jimmy Garrison and Richard Davis, both classically trained musicians. He has been a leader in the development of "extended techniques" -- finding innovative ways to make unusual sounds on his instrument. This has been a particularly active area of development for bass players, because the instrument with its great range, long pliable strings, open multi-toned surfaces, and percussive sound. Parker also supplements his music with a variety of other instruments, including the West African kora. 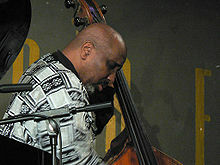 Parker has been active on the jazz scene since the early 1970's, coming to prominence through his work with pianist Cecil Taylor, and as a member of David S. Ware's Quartet and Peter Brotzmann's groups -- all highly regarded NYC avant garde ensembles. He has recorded extensively with his own Quartet, as a soloist and as a sideman with many other artists: Oliver Lake, Hamid Drake, Billy Bang, Gerald Cleaver, Craig Taborn, David S. Ward, Cecil Taylor, Matthew Shipp, Nels Cline, Roscoe Mitchell and many others.. He has performed at festivals and concerts throughout the world. He has published two books: Who Owns Music? and Conversations.